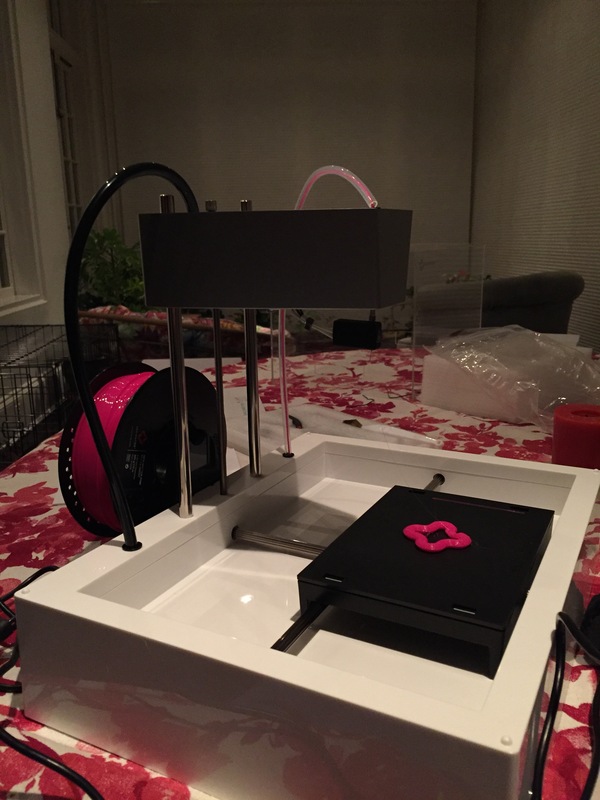 My husband bought the family a 3D printer for Christmas. He bought the Mod-t based off of online reviews. It also happened to be the nicest looking one. 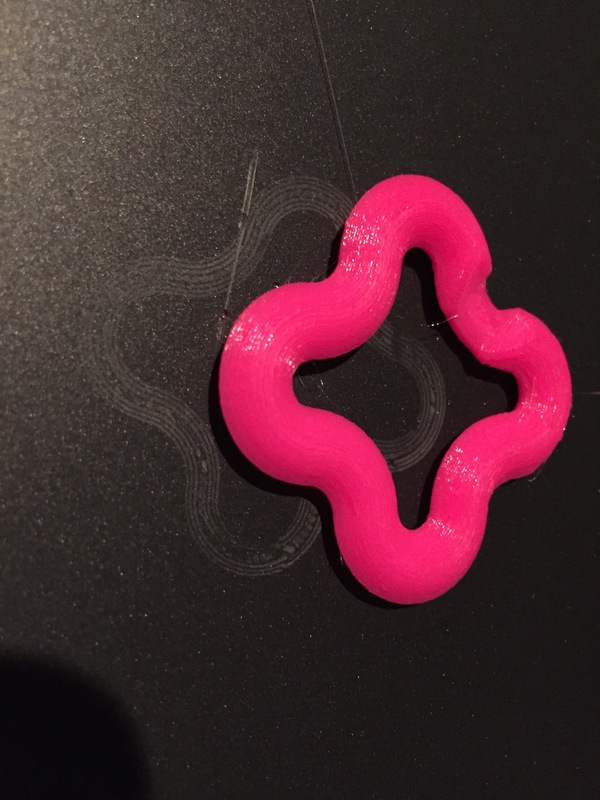 Tonight we did our first test print with the kids. It took about 50 minutes or so to make. Then we looked through the online library for files of items to print. The kids are excited about creating Snowman accessories (if we even get a snowstorm this winter), little animals, and toys. I’m excited about the votive candles and other fun decor items. My husband is not-surprisingly into the more practical organizational tools. I am hoping to make some Valentines decorations in time for a special Valentine’s Swing Dance party that we are having. 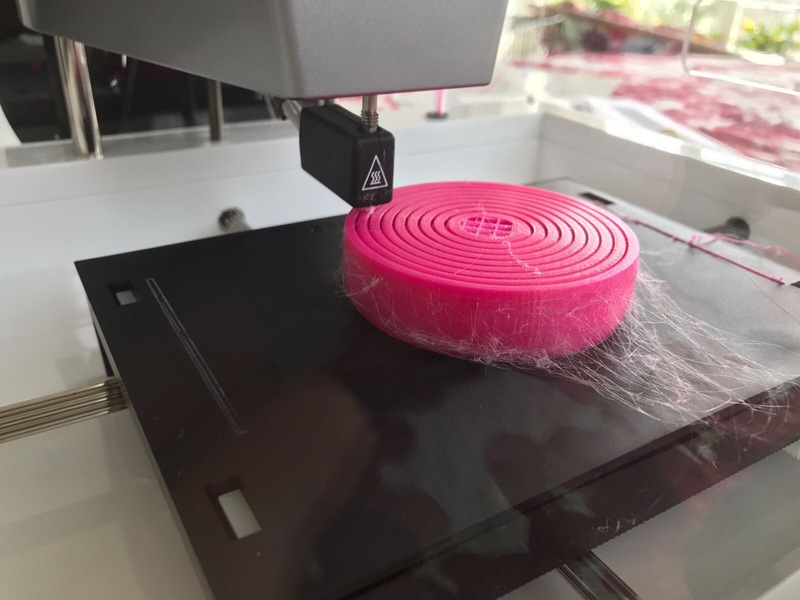 We have a 3 spools of color…New Matter’s website has spools for 19.99 but all the colors except hot pink (the one we already have). Pretty pricey, I think. Since we’re new to this, I’m not yet sure if different brands of spools would be compatible. 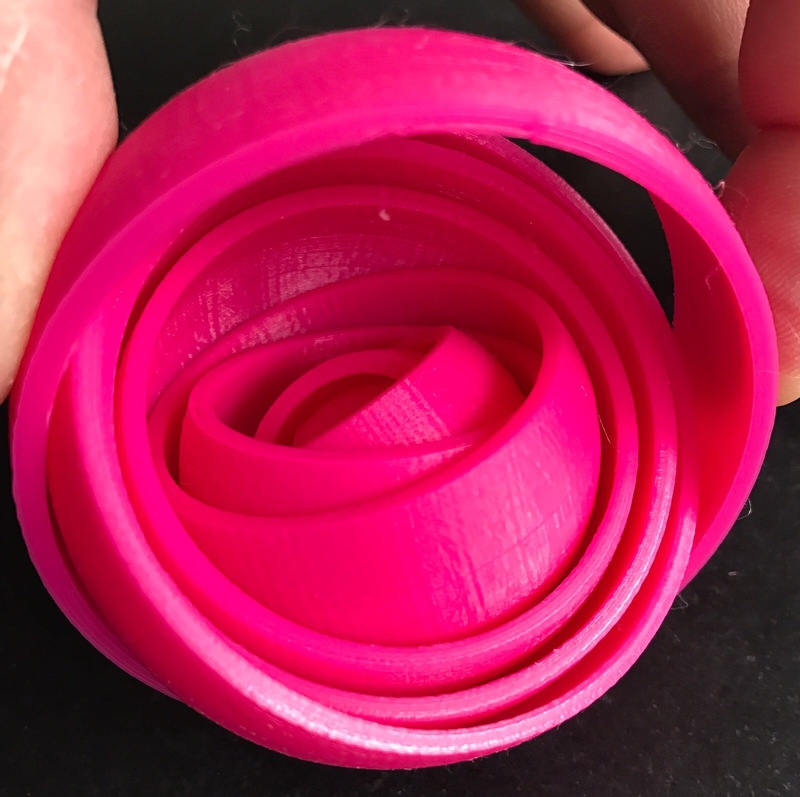 We are currently printing a spheroid- a ball with differently layers that rolls around inside itself. It will take all night. Update: There are three quality levels. The lowest being the quickest, the highest being the slowest, and a “balance” option in between. We used the highest quality option and went to bed. It was still going when we woke up and kept printing until 4pm, for a total of 18 hours printing! Up to Date Resources for Activism. Keep Checking Back!